Our Pains au Chocolat are made using the same traditional methods as viennoiserie bakers. 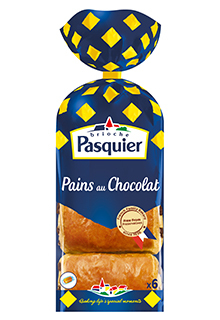 They are made using our brioche dough which is worked into a puff pastry and filled with indulgent dark chocolate. Perfect for on the go thanks to their individual wrapper.